Village ordinances relating to vehicle storage are designed to maintain a high standard of property value and aesthetics. Can I store boats, trailers or other vehicles outdoors? Village ordinances are restrictive when it comes to outdoor storage of boats, trailers and recreational vehicles. Up to one boat (and trailer), utility trailer, camper, camper trailer or recreational vehicle may be stored outside between April 1 and October 31, and it must be in the rear yard between the side building lines of the house and at least 15 feet from the rear property lines. Snowmobiles may be stored between December 15 to March 15, in the same location behind the house as described above; no more than two may be stored. 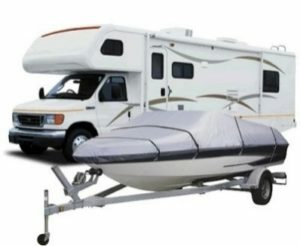 If you will need to have a boat, trailer or recreational vehicle in your driveway for a temporary period, a temporary storage permit may be requested from Wind Point Police for a period of up to five days (limited to four times per year, per property). Can I park my vehicle on the street in Wind Point? Vehicles may be parked on the street, subject to regulations on parking signs. Overnight on-street parking is prohibited between the hours of 2 a.m. to 6 a.m. Residents or their guests may request overnight parking permission in advance from the Wind Point Police at 639-3022. Parking of vehicles in the driveway is limited to those actually in use by the residents or for temporary parking for guests. The storage of any vehicle in the driveway for an extended period (covered or uncovered) is prohibited. All motor vehicles parked outdoors must be registered with valid (unexpired) license plates. Cars parked outdoors must be on an all-weather surfaces, except for vehicles of temporary guests. Commercial vehicles other than automobiles, vans, and pickup trucks used in a business or trade and used for transportation to and from a place of employment of a resident may not be parked on a residential property, except when delivering goods or services to such property. No commercial vehicle exceeding two (2) tons rated capacity shall be stored in any residential garage. To report a parking or outdoor storage violation, please contact the Village Office at 262-639-3524 or info@windpoint.org.